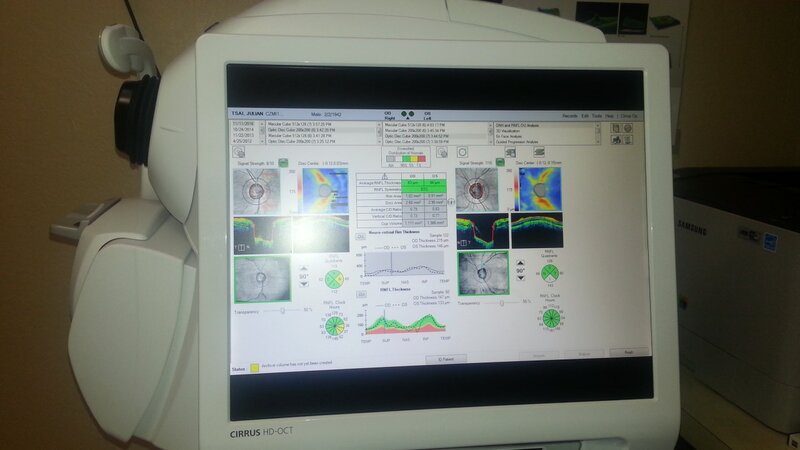 The image pictured is the OCT machine which can detect GLAUCOMA, Macular Degeneration, Retinal tears, and many other Retinal issue's. THE OCT Technology is state of the art equipment to help our doctors take scans to help determine the cause of your eye problem. It is recommended that everyone has a Retinal scan - once every two years. COLOR BLINDNESS: IF YOU OR A LOVED ONE HAS BEEN DIAGNOSED AS BEING COLOR BLIND, HELP IS NOW AVAILABLE IN THIS PRACTICE. IF YOUR JOB CALLS FOR BEING ABLE TO SEE VARIOUS COLORS, WE CAN HELP. SPECIALLY TINTED SOFT CONTACT LENSES CAN NOW HELP YOU SEE COLORS AS YOU'VE NEVER SEEN BEFORE. Quality eyecare and personal attention are our focus at Doctor Harvey Yamamoto, OD. We are a family optometry practice that prides itself on individual optometric care and attention we provide all of our patients. Your entire family is welcome at Doctor Harvey Yamamoto, OD. Our optometry practice is located in Ontario California. Our goal is to serve our patients unconditionally by helping them with their personal eye health and providing them with professional and state-of-the-art eyecare. We believe that healthy eyesight is vital to a high quality of life - both of which we are committed to! TO FURTHER THE ART AND SCIENCE OF PHOTOTHERAPY IN THE TREATMENT OF THE VISUAL SYSTEM, FOR THE PROMOTION OF HUMAN HEALTH AND POTENTIAL, AND THIS INCLUDES PROMOTING AND EXPANDING THE THERAPEUTIC USE OF LIGHT IN CLINICAL PRACTICE THROUGH POST-GRADUATE EDUCATION AND RESEARCH. We invite you to visit our beautiful eyeglass dispensary and choose from the latest in fashionable eyewear frames. We carry both affordable and high-end eyeglass frames. Please give us a call today to schedule an appointment with one of our optometrists. KERATOCONUS: CUSTOM SPECIALTY SOFT CONTACT LENSES (YAMAMKONE IC) ARE NOW AVAILABLE.